You are here: Home » When is “controlled drinking” possible? When is “controlled drinking” possible? The great “controlled drinking” debate has a controversial history dating back to the 1960’s. Since then, politics, addiction ideology, and evidence have often been hard to separate. In the 1970’s the Sobells were vilified for allegedly skewing the results of research showing that some dependent drinkers achieved controlled drinking, but they were later cleared of any wrongdoing. Audrey Kishline, the founder of Moderation Management (a peer support group), committed suicide after driving drunk and causing a fatal car crash. This tragic event is often cited as an example of how moderation doesn’t work. Today, recognition of non-abstinence-oriented outcomes is less controversial. However, there is still no shortage of opponents, and not just amongst 12-steppers. Like many complex issues, the “truth” about controlled drinking may depend on which way you cut the cake. Stopping drinking in my twenties was very difficult. During my early months of sobriety I struggled to stop thinking about alcohol and battled with trying to reformulate my identity and social life. Drinking pressures and cues seemed to surround me constantly, but in some ways this made me more determined. Around six years later I felt like I was in a very different place, settled with a rewarding job, happier in myself as a person and as a “non-drinker.” During this time psychotherapy helped a lot, especially with anger issues connected with my past drinking. I began to feel things were so different now that normal drinking might be possible, and after a few years of contemplation, I eventually decided to see if I could “re-learn” a problem-free relationship with alcohol. Many people still believe anyone with an alcohol addiction can never drink again without slipping back into old habits. 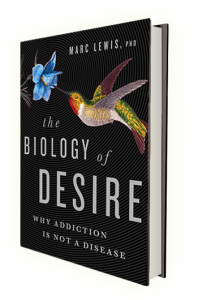 The disease model of addiction as a “chronic relapsing condition” and associated beliefs about “alcoholics” are deeply entwined with the idea that abstinence is the only genuine option for long-term recovery. There are some valid reasons to be skeptical of controlled drinking for once-dependent drinkers. Long-term studies suggest only a minority of problem drinkers achieve controlled or problem-free drinking, and for people with severe alcohol addiction, abstinence is usually identified as the most successful route. Indeed, severity of dependence is a central theme in addiction theory and in the concept of “alcohol dependence syndrome” that underpins ICD-10 and DSM classifications. Even so, some controlled-drinking studies have observed success in a subset of drinkers with more severe dependence. Whilst some argue that those with less severe dependence are not really “addicted,” there is no scientifically valid cut-off point. In fact, the role of severity of dependence as a predictor of controlled drinking is unclear. Some studies have found other measures, like the extent of “impaired control” — i.e. failing to limit one’s drinking — serve as better predictors. Another important factor may be a period of abstinence. A drinker who has had many years without drinking will be more likely to succeed than one who simply tries to cut down straight away. How much of this may be about the brain “un-learning” drinking reward pathways — and how much may be about life changes and other skills that sobriety brings about — is again hard to generalise. I began controlled drinking six years ago, and despite anxieties that I was doing the wrong thing, there are no signs that my relationship with alcohol has become problematic again. I might drink three times a week, typically with a meal, on weekends, or out with friends, and not more than two or three drinks on an occasion — within the UK’s recommended guidelines. However, comparing myself then and now feels like comparing two different people. Then I was young and in many ways insecure, anxious and with a lot of fire in my belly. Drinking always felt like it allowed me to let go of this nervous energy. I believe that working through past issues through psychotherapy was as crucial as my long period of abstinence. I strongly feel that this process helped me deal with issues that fuelled my destructive drinking. Trying to answer “when is controlled drinking possible?” is a bit like asking “what’s the best treatment for addiction?” — there are no easy answers; it depends on many factors. But there are some basic principles that might help predict success. Fundamentally, it may be fair to generalise that controlled drinking tends to be less successful for people who’ve been more severely dependent, experienced adverse childhood experiences, previously failed to control their drinking, or endured excessive insecurity or stress in their lives. To anyone with a history of alcohol problems contemplating controlled drinking, I would suggest they ask themselves what it is they truly want or expect from drinking again. 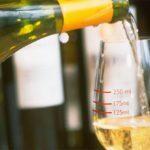 Weighing up the pros and cons objectively can be difficult, and it can be easy to over-value the pleasurable effects of moderate drinking. For me alcohol may have a mild relaxant effect, but it is not to de-stress, let go, or suppress negative emotions. If I go through a tough time in the future, I believe that will be an important time not to drink. Keeping healthy and looking after myself in other ways provide protective effects that allow me to drink without problems. The author is in no way encouraging those with former alcohol problems to attempt “controlled drinking.” The author wishes to reiterate that controlled drinking is not suitable for many drinkers who seek help for alcohol problems, and anyone considering controlled drinking should consider the possible benefits of professional help. We have dueling hypothesis here. All is hypothesis, and few facts, other than do not drink if you want to be sober. These different recovery hypothesis are just hypothesis, story’s that explain. If you believe and adhere to no drinking, you will be sober. Much more of recovery is about building a social network where drinking is not part of that network or environment. But what do I know? Hi, nice piece. But Audrey Kishline did not die “drunk in a car crash”. She hanged herself after killing others, while she was drunk in a car crash. 1) By all means try it if your drink problem is mild and your partner or employer is willing to tolerate the experiment. If it fails, you need at least a period of abstinence and trying CD again may not be wise. 2) If you can’t manage that period of abstinence without supervised disulfiram (+/- counselling etc) you need to abstain with it for at least six months and then without it for at least another six months before I’m willing to talk about CD again. By that time, you may have got used to abstinence and I certainly won’t try to persuade you to change. If you still want to try CD and it fails again, you really should take the hint. And don’t ask me again until you’ve been dry and happy for at least another five years. Thanks Colin, that’s a really useful insight. As you indicate, in the UK NHS alcohol treatment is expected to support patients with their own drinking goals, which will often change along the way. It can be risky setting particular time cut-offs for ‘success’ or ‘failure’, though some of the evidence does suggest people who achieve controlled drinking tend to have achieved it earlier on if they’re going to. However I failed miserably in attempting to control my drinking many years ago, but succeeded without problems years later. Hi Colin. What an excellent recipe for setting out how and whether to try this experiment. I will continue to refer people to your practical and compassionate advice. My point is– why would I want to roll the dice again ??? Hi William, I think in a sense my post was about saying if you think trying to drink again is going to be ‘rolling the dice’ in any way, then it’s best not to. However for some people things may have changed enough – or their level of problem was less severe in the first instance – that it is much less of a ‘risk’. Thanks for highlighting this, Damien: we have corrected the post (the correction is not visible, as we have revised the original text). The article did not say that Audrey died “drunk in a car crash”. She did kill herself by hanging. She also went to prison for drunk driving that killed a man and his son. Thats what he said damien..you havent read it properly!!! Also, she had left Moderation Management, returned to AS, had a sponser and was working the steps. There is no evidence that while associated within MM she ever drove drunk, and she certainly didn’t kill anyone during her time at MM. So, really AA should be asked about this, it was their program she was in. Damien, this article states she killed herself after the crash. Maybe you can reread it? That is what he said, re-read it. She caused a fatal crash (someone else died), and committed suicide thereafter from the guilt. Hmmmm. 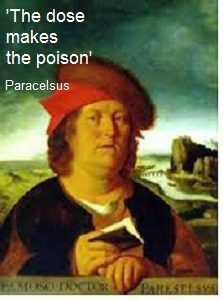 Have you not read the NESARC study? More than half of people who used to drink problematically recover completely and drink safely. More than half. Not a minority. I love anecdotes, and it’s a great story. I totally support the author’s quest for the right relationship with alcohol in his life. It’s a very important insight that at different times in life, relationships with substances are different. However, this article is not well researched. The study you cite looks at people who were in treatment. That’s a very skewed sample. Most people recover with no treatment whatsoever (see link I posted just above.) There is also evidence that people who get treatment actually have worse outcomes. Check out the evidence gathered by NESARC, a giant epidemiological study, not a 140 person sample like the paper you cited. I’m working on a piece for The Influence that synthesizes the science. Will send a link when it’s published. Not sure which author you mean, Rebecca. Please clarify. The medical understanding of what constitutes alcoholism is not science, it. Is merest opinion. By the criteria of the NIMH I am an alcoholic. I have a glass of wine every night with my dinner. And both of my parents. They each had 2 measured mixed drinks before dinner every day. In 20 years living with them I saw my Da drunk twice and my Mum never, except New Years Eve, but everyone gets stoned then. Setting up such unreal criteria is not helpful. I smoke a lot of pot, but I have MS and it helps with symptoms. I don’t recommend it as harmless to anyone. Living a drug free existence is the best option for the 25% of the population who can or should. This is a really important issue – one which I was not able to go into whilst keeping the post concise, though I should have clarified. I think the key point is that as you say, the likely success rate of ‘controlled drinking’ is certainly different between those with a level of dependence in the general population (i.e NESARC) and treatment populations as I’ve referenced. The latter of course tend to have higher dependence severity and other problems, thus decreasing the probability of ‘controlled drinking’ as suggested. I have no doubt that in the wider population, as NESARC demonstrates, success of non-abstinence goals are far higher. However in some ways I think ‘controlled drinking’ is synonymous with a possible ‘treatment goal’, at least in the UK, whereas those who go through ‘natural recovery’ are less likely to identify it as such. I would say those who ‘recover’ on their own in the wider population are more likely to just consider that they have ‘managed to cut down’, resumed ‘normal drinking’ or are just now ‘drinking in moderation’. I doubt most would feel they are ‘controlled drinkers’. For example I personally have mixed feelings about describing myself as a ‘controlled drinker’ as it implies I need to consciously exercise control when I drink – which might be a more prominent feature in treatment population. But for me, if that was the case I would feel much less comfortable with drinking at all. So in a sense I’m saying that perhaps ‘controlled drinking’ as a term fits better as treatment population goal/outcome, whereas the much larger population of less severely/non-help seeking drinkers have a higher success rate of something which might have some important differences in how its framed and experienced. Semantics to some degree perhaps and of course there are many grey areas and generalisations. However I certainly agree with your main point that most people with some level of dependence ‘recover’ on their own, and far more succeed at ‘resumed normal drinking’ than those who attempt ‘controlled drinking’ as treatment populations . I think some small highlighted edits to the post might be important to clarify, so thank you again for highlighting this and your kind words about my personal account. “Argument is to find out *who* is right; discussion is to find out *what* is right.” This comment, and the responses to it, just demonstrate that the reality of addiction is complex, and very individual. Thanks very much for linking to NESARC, April. These are important statistics. I refer to NESARC often when discussing recovery rates for drug addiction and alcohol addiction. The finding that most of those affected get better (I hate “recover”) without any formal treatment is critical. When I mention this in talks, you can hear the audience mumble and fidget — this guy must be mistaken. Most people have no clue that this is the case! April, would love to see the piece once completed. 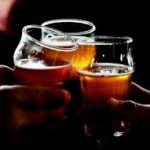 This is an interesting topic to me- I work with opioid dependent individuals who usually report that alcohol is not a problem for them though I usually encourage them to look at the idea that since it is not what they are seeking in regards to drinking, they may not know yet if alcohol is a problem. I am curious as to any feedback that others might have of those who state alcohol is not their drug of choice therefore it is “okay” to proceed despite ongoing addictive behaviors evident with many other substances. I have no crystal ball. I am often conflicted in this area when discussing this with clients who have had periods of abstinence in that the disease model is conflicting in my understanding and it is the model that my agency operates under. I work with individuals who have had SEVERE consequences from any addictive substance, so they are likely not candidates for controlled drinking based on evidence of ongoing addictive behaviors that are not yet fully treated. I agree with the post above of positive peer support group that does not use substances being essential. When working with clients I believe in informed choice, so I usually defer to the Prime for Life site that discusses potential for problem drinking and the book “How to Change Your Drinking: A Harm Reduction Guide to Alcohol”. Personally, 11 years into sobriety my life is much better than before- I have a daughter, I’m almost done with graduate school, I don’t live in a basement, I own my cars outright, and I don’t wake up with guilt the next day after drinking wondering what I did the night before. Personal disclosure: I am a 12 stepper in my personal life though do not bring this up to clients or operate under the model in my professional life. I’m a client-centered care/harm reduction counselor, which made this post interesting enough to me to stage a reply. Rebecca, having counseled now for 17 plus yrs there is one thing certain since beginning my journey or study of the brain and addiction; my views have changed. At present I’m collecting data on the theory of Spontaneous Recovery aka, “maturing out” of problematic drinking. I’d like to discuss or correspond regarding some of your questions reg opioid addiction as I’ve worked w/ some who have reported the same yet some will begin problem drinking, some wont. I found certain variables play a role. If interested, please respond and I’ll send you contact info, best of luck. I am supportive of keeping an open mind to responding to how alcohol fits into a person’s life after they have had a period of time where it did not serve them well. Too often the topic of alcohol misuse/ addiction gets painted with a binary brush: either you are or your not, and you will be that way for life. This “diagnosis” doesn’t take into account how harmful it is to the person to not be trusted, to have some free will and judgement in their own self care. Often times misuse does occur conditionally, and yes it can be unfortunately years before healthier habits and perspectives happen. It is so hopeful that not all see alcohol use issues in the same way, based on their own personal issues, biases, and moral panic of the day. I agree that binary thinking is a big problem; addicted/not, alcoholic/’normal drinker’ – I think the widespread use of such false dichotomies has a lot to do with why controlled drinking has a lot of opposition. One of the key challenges is finding and developing a better language to support understanding of addiction problems as much more complex. Problem drinking or alcohol misuse seem better umbrella terms, but finding language that will be more widely accepted to differentiate between alcohol misusers with and without presence of addiction is very tricky. There is medical terminology (eg hazardous, harmful, dependent in the UK) and severity of Alcohol Use Disorder in DSM-V, though I don’t think either will be catching on with the general population! Hopefully continuing the debate will get us closer to finding a language and understanding that works for the many different people and ways that addiction or misuse manifests across the world. I also wonder how much an extended period of total abstinence helps, to reset the body’s physiology, thus making it easier to resist falling back into addictive patterns when you do re-introduce alcohol? To what degree is addiction physiological? I had depression, an addictive relationship with food, and a repeating pattern of abusive relationships, which are kind of like an addiction, especially if you’ve grown up with them. In my experience, it’s not a single factor that causes you to go backwards, it’s several things together that “break the camel’s back”, so to speak. If I’m physiologically (diet, exercise, sleep) and emotionally (constructive thinking habits) healthy, and in a good environment (home, job, social contact), I’m much more likely to be able to muster that little bit of “self control” I need to resist my “triggers”. After a long period on a low glycaemic index diet, I’m much more able to have one sweet treat and then stop. If several of these factors are positive, I’m also much more likely to be able to brush off or stand up to an abuser, rather than become enmeshed with him/her. And it occurs to me that alcohol is biochemically quite similar to sugar? Hi Karen, thanks for sharing that, I think the same principles are definitely valid across other addictive behaviours. That is the more time we spend without them, and the more we look after our health – physical and psychological – in other ways, then the better our chance of not becoming susceptible to triggers and building positive skills. Broadly I think sugar addiction is valid in the sense that people can struggle to control their sugar intake and suffer health consequences as a result. And sugar as well as other addictive behaviours have an effect on the brain and dopamine release. However so can other things such as falling in love, arguably complicating the issue and the extent to which neurological changes can explain addiction. So I’m not sure how much further a comparison can be made given the complex effects different substances and behaviours can have on the brain, but obviously Marc Lewis is well qualified in this area! Ha ha, the human brain, eh? Love, alcohol addiction and obesity, all on the same neural pathways, perhaps. I guess the thing with sugar is that – it seems to me – it resets your insulin production to higher levels, and most importantly it takes a while for the body to switch back to healthier insulin levels. I have a feeling, from my own experience, that even when you’ve switched from a high to a low GI diet, insulin levels continue to spike when you eat, and to yo-yo up and down, for a few weeks or months after the switch. I think those insulin spikes cause sugar cravings. Therefore, sugar addiction is physical, to some extent. Knowing this, I just have to use self control to get through the sugar cravings, knowing that they are not real hunger and that they will ease in time. I suspect that babies born to sugar-addicted mothers may be born with this insulin problem, and that this has led to the belief that obesity is in the genes. I’ve also heard that a “sweet tooth” is common among alcoholics. Given alcohol’s chemical similarity to sugar, I wondered if a similar mechanism is at work in alcohol dependence. But clearly from the above comments, this would only be one factor among several. Read articles, and some of the comments this morning. Found I needed a bit of time to sort through, both professionally and personal. On the professional reframe for alcohol, many client’s whose lives are shattered, and have further sustained damage, once sober they tend to return to drinking once the realization they have lost most family, and career. To assume that all would be better off sober, is certainly a mindset that often time fails in the real world. End stage alcoholism is neither pretty, or comforting, and yet, many seem to chose it rather than enduring real world sobriety. Personally, sober for thirty-one years. Not always pretty, and certainly have sober mistakes from relationships to finances, but there’s absolutely no reason for me to “see if I’m better” For what? Damage to my physical health, or loss of my independence, or better yet lines on my face. Nope, it’s just not that important. If I need a break, there’s Netflix, or a jog. What does concern me, and perhaps I’m not with the progressive thinking, is a growing trend of acceptance, that less of a life on opiate replacement, or controlled drinking is all those suffering can hope for. Think we can do better. Helen, I appreciate your personal perspective very much. But I think that James is saying quite clearly that this works for some people and not others. See Colin Brewer’s comment, above, for a neat recipe for considering whether and how to try this experiment. We shouldn’t conflate controlled drinking with a return to alcoholism….and of course end-stage alcoholism is a cliff-edge that should be avoided at all costs, with utmost caution, intelligence, and social support. What I don’t understand is why anyone would choose a beverage with alcohol in it once they have given up their alcoholic ways. It is not healthy or particularly tasty so why have one? I am sober 25 years and have gradually trained my preferences to make healthy choices. Why dabble on that slippery slope? I might think controlled drinking is a great option for someone who is trying to dig out from current alcoholism. Otherwise, to make that beverage choice at any time does not seem to have any benefit to me. Once I stopped romanticizing alcohol, I could see no benefit in choosing an alcoholic beverage over a seltzer with lime. I wonder what I am missing … what I am not understanding about why this would be a recommendation. Doesn’t seem like good self-care to me. For the same reason the average, non-addicted person chooses to drink alcohol. If you’re not addicted, being slightly intoxicated is just an enjoyable, relaxing, sociable experience. And good wine and beer taste better than any seltzer! Donna, appears you’ve missed the point of the article. Could the warm promise be lying? I have been sharing this view for many years. Sharing but, in no-way trying to convince people that they too can achieve this result. I was an alcoholic for 25 plus years and today I can count with both hands how many drinks I have a year. I believe regaining my right for choice has given my more satisfaction then in simply quitting. I AM, and I CAN do anything I set my mind to doing. I AM not powerless to doing anything in my life. Has anyone heard of the drug Revia? If you take it before you drink, after having one or two social drinks, you actually don’t feel like having another. I’m surprised this has not been mentioned once in this discussion of Controlled Drinking. It’s made a huge difference in my life. Most of the time I am able to scicially drink. Once in a while however, I over drink to the point of black out. I never see it coming. Over drinking has caused me great distress, shame and guilt. Even though it only happened two or three times as year and otherwise I would drink socialbly and responsibly , those two or three times were devasting to me. I finally concluded that the only way I could guarantee that I would never black out again is to never drink again. That thought was equally devasting. I could never again enjoy a nice bottle of red wine with a beautiful steak dinner, no cold beer on a sunny patio. I didn’t want to be one of those sober problem drinkers that made everyone uncomfortable at parties. But I figured I had no choice. Those two or three terrible episodes had such devasting effects on me. Fortunately, I was introduced to the drug Revia. Now I can take it before I go to an event and not have to worry about drinking too much. After one or two drinks, I actually don’t want anymore. It’s amazing. I thought it was too good to be true, but t’s not. I live in Canada, perhaps this drug is not available in the UK? I didn’t mention this in the post because there are so many potential areas to cover – however the role of drugs that might support controlled drinking goals an areas we need to pay close attention to. There is some role for pharmacology in addiction treatment, but I think we need to be very cautious given the level of over-prescribing of many drugs in a broader context. Here’s the test: if you have to ask yourself if controlled drinking is possible, then it isn’t. It’s that simple. That question never occurs to “normies” who have “controlled” drinking behaviors. The question to ask is, “How important is it?” Is it a coping behavior I rely on instead of more adaptive behaviors and mindsets like honesty and compassion (which presumes self-compassion)? How important– and how possible is it for me to transform a habitual maladaptive coping behavior inextricably linked to the primal reward and fear processing systems of the brain? The best way is to replace it with more adaptive reward behaviors, not try to change a “pickle back into a cucumber.” When that positive transition is made, we can be lead the toast at our best friend’s wedding, because our intention has changed. It’s just not that important anymore. The author makes this point clear and compelling. I am jumping in a bit late. Controlled or social drinking after treatment is a hotly debated topic with no easy answers. Most patients who come to us for treatment have attempted several times to moderate their drinking with no success. Patients are ambivalent about quitting for good and are looking for some way to drink with moderation like the rest of the people who don’t have the problem. Giving up alcohol for good is no easy goal and therefore the AA adage – one day at a time. Most people can quit if it was a gradual process – harm reduction to harm elimination. The rigidity of the present treatment; quit immediately is both unrealistic and potentially dangerous. Moreover, the patients are not given the time to wean themselves off the alcohol as is the case with smoking or weight loss. The abrupt cessation can have negative consequences. Patients may substitute the alcohol with smoking, excessive coffee consumption, sugary foods etc. and exhibit unhealthy behaviors (dry drunk). 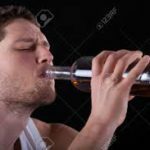 Even the federal government has concluded that not everyone can quit and if the treatment leads to significant reduction in drinking, it should be considered as a treatment option. Indeed, the approval of naltrexone in 1994 for the treatment of alcoholism proved the point.Patients taking naltrexone reduced their alcohol consumption significantly and allowed them to quite if that was the goal. This approach works well because patients feel a sense of empowerment and no coercion. This is the treatment we offer at our clinics and has worked well for hundreds of patients. I would direct the reader to learn more about the Sinclair Method which is gaining traction. David Sinclair was an American biochemist working in Finland and developed this method of the patients taking naltrexone only on the day the patient was going to drink. Patient drank less because the naltrexone prevented the first drink from priming the pump leading to loss of control. This is an interesting concept and written about by Gabrielle Glaser in The Atlantic. Here is the link. Not to anyone’s surprise she was excoriated by some AA groups for taking this approach. A South African psychologist, Dr. Roy Eskapa wrote a book with a rather exaggerated title: The Cure for Alcoholism – drink your way sober without willpower, abstinence or discomfort. It is an interesting read. The bottom line is that if you have quit alcohol, it makes little sense to go back to controlled or social drinking – it is too risky. At the same time I strongly disagree with the folks that insist that recovering alcoholics should not even touch a drop of alcohol. Each person should careful weigh the risk. 1: Set a realistic goal for your alcohol use. Decide ahead of time how much and how often you would like to drink. 2: Keep an honest journal of your drinking. This helps you become mindful of your drinking. 3: Start with a non-alcoholic drink to quench your thirst. When you’re at a social event make sure you have a non-alcoholic drink to start. Thirst can make you drink more alcohol than you need. This also helps you become more mindful of your drinking. 4: Don’t drink on an empty stomach. Make eating part of the experience. Hunger can also make you drink more alcohol than you need. 5: Alternate alcoholic and non-alcoholic drinks. Don’t have all your alcoholic drinks at once, or you may be tempted to drink more than you planned. Instead have at least one glass of water before each alcoholic drink. 6 : Avoid heavy drinking situations. Some situations are associated with heavy drinking, and it may be difficult to stick to your plan. Learn to recognize and avoid heavy drinking situations. Thanks for this, I think these would be useful goals for many people seeking to moderate their consumption. Indeed that forms a significant part of ‘behavioral self-control’ as an intervention for controlled drinking. At the same time, always important to recognise that people’s situations, cues, motivations etc can cary widely, so supporting or guiding people to identify strategies that will be important for them will be preferable to being overly directive. Here is post script to my comment yesterday. This is a link to a press release from the National Institute of Health on the role of anticraving medications in the treatment of alcohol use disorder. I think the risk would not be worthwhile for many people, but that was not the case for me, in part because I felt 100% sure that if it did become a problem again I would immediately return to abstinence and not have any qualms about doing so. People who argue against the disease model of addiction often cite ‘natural recovery’ amongst the majority of people who develop addictions. I think in some way many people have done what I have but without seeing it as a recovery journey, rather just a life course, e.g would just see their youth as a period where they drank heavily. But yes, there are many people who have achieved abstinence and considering controlled drinking would not be a achievable or a good idea. However that doesn’t apply to everyone and I wanted to shed some light on when that may or may not be the case. Herpes Virus is a terrible virus, if not for my Husband and the help of the great Dr. Aluya my life would have been a mess! I was diagnose with Herpes virus in 2014, my husband encouraged me, and told me not to lose hope, I manage to give birth to a baby Boy who was free from this virus, and my Husband was always there for me! One day he came to me and told me that he have found a man who can cure me. Base on scientist, they said there is no cure for Herpes virus; he told me that he has seen many testimonies about him on the internet. We decided to contact him, we filled his Herbal home form, and he asked us to buy some local root and herbs items which we did! and he prepared for me a herbal medicine and 14 days later he asked me to go for medical test, faithfully hopefully i went for the medical test, and Behold, I was cured, from this virus and its was not found in my Body system again… My Dear Husband and my Father Dr. Aluya God will surely bless the both of you, till the end of time, in Jesus name.. If you have any problem kindly contact Dr Aluya via his email (dr.aluyasolutiontemple2@gmail.com) or call him on +2349073364485..